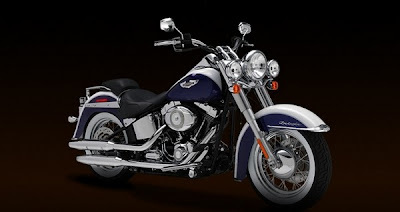 Harley-Davidson (H-D or Harley; NYSE: HOG) is an American motorcycle manufacturer founded in Milwaukee, Wisconsin, in 1903. 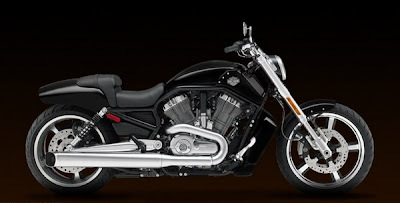 Harley-Davidson sells heavyweight (750cc plus) motorcycles designed for cruising on the open road. 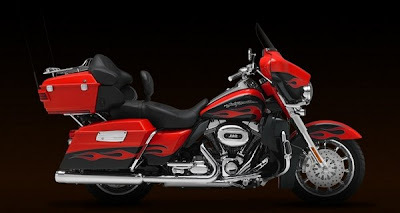 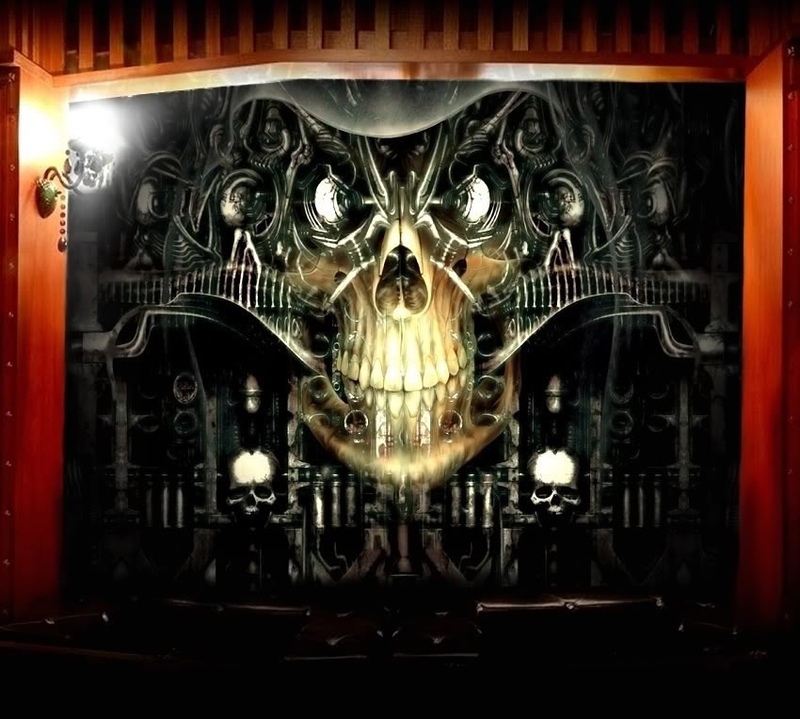 The Harley-Davidson brand, image and logo are recognized worldwide, and the motorcycles are especially known for their distinct design and exhaust note. 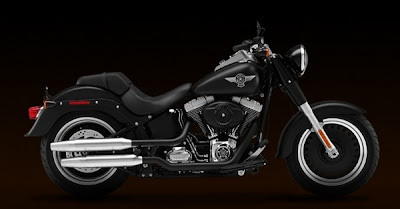 The classic Harley-Davidson engines are two-cylinder, V-twin engines with the pistons mounted in a 45 degree "V". 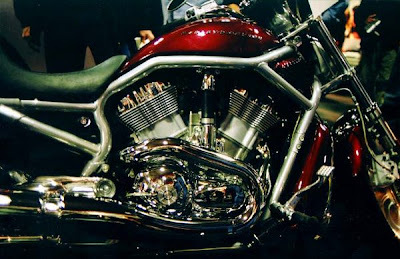 Whether true or not, Harley-Davidson motorcycles has long been associated with the sub-cultures of bikers, motorcycle clubs and outlaw bikers. 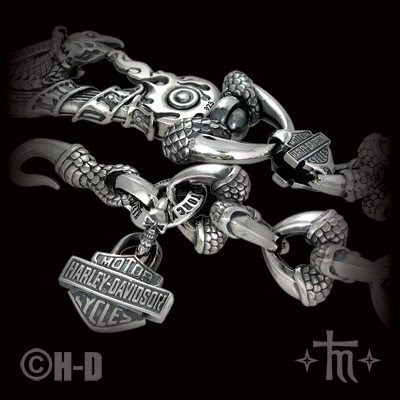 For the last century, Harley-Davidson has not offered or licensed its brand to a successful, ongoing, high-end, designer biker jewelry collection...until now. 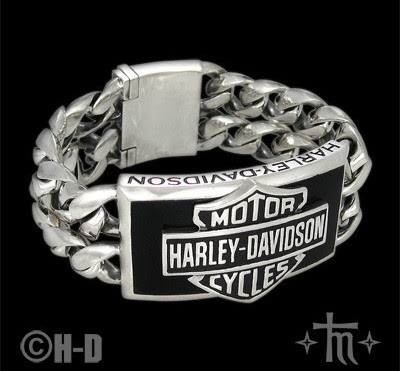 We've seen a few designers come and go with very small collections of H-D jewelry. 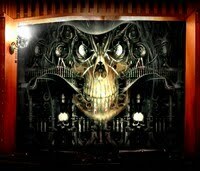 Leave it to Thierry Martino to bring on the first gen of H-D rebel luxury silver. 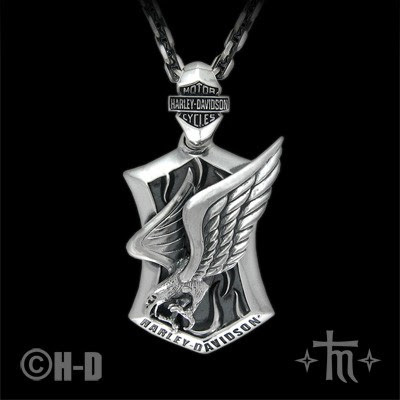 For all of you that have been waiting for classy, badass jewelry to wear when riding, wait no more! 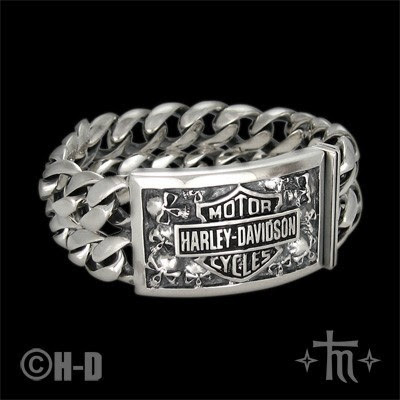 No more looking to cheap junky silver H-D jewelry on eBay for your needs, because you should be riding with style! 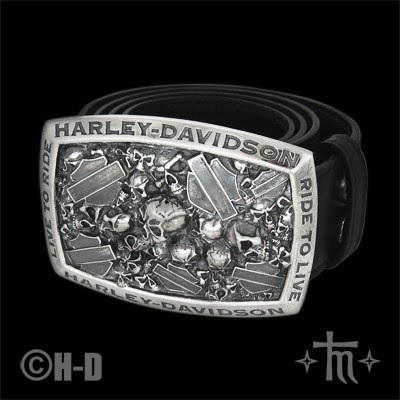 H-D by TM is crafted from the finest raw materials available and uses the latest technology in jewelry-making. 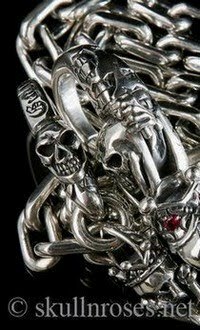 Each piece, assembled and polished by hand, is made of 94 percent sterling silver and 6 percent special fine alloy (with anti-tarnishing properties). 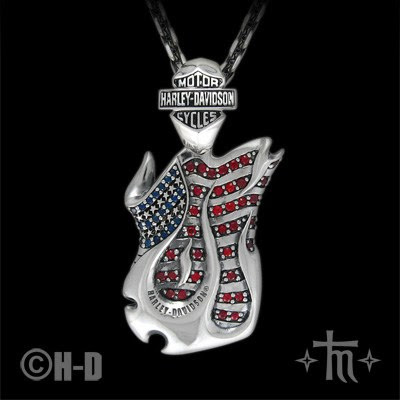 Harley-Davidson Jewelry by TM is guaranteed for life against defects in materials or workmanship. 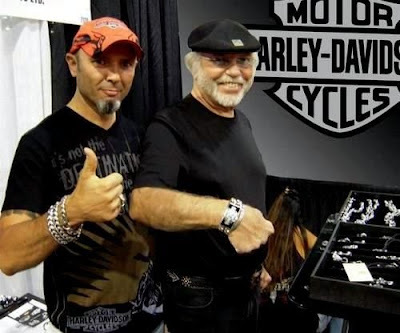 Harley-Davidson Jewelry is passionately dedicated to the legendary Harley-Davidson motorcycles and designed by Thierry Martino, a French artist and avid biker. 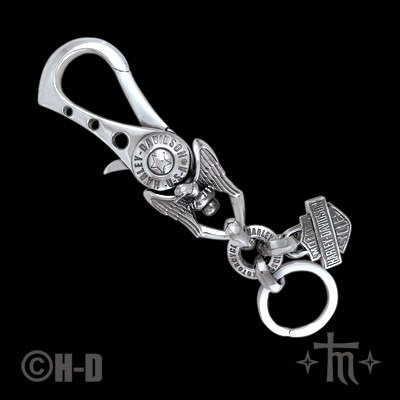 Thierry Martino is well-known in the world of silver jewelry fashion for his luxury accessory brand, SoulFetish. 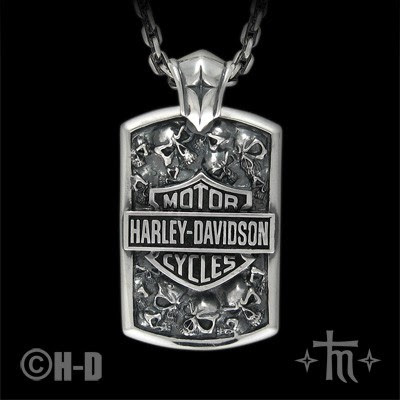 "Silver jewelry and Harleys are inseparable. 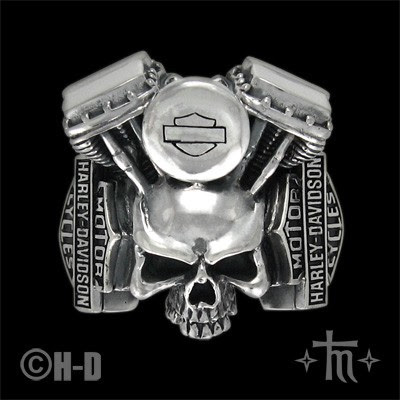 There is no biker in the world without a silver ring. 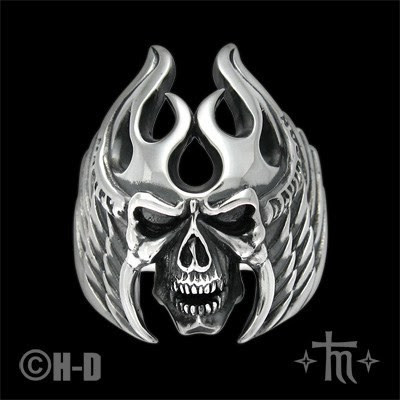 I've always created my own silver jewels because I wanted them to have the same spirit and quality as my Harley." 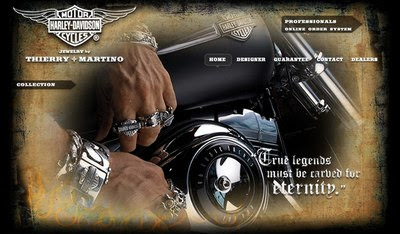 Every jewelry piece is made in-house and Martino maintains a close eye, over the entire artistic and metallurgical handmade process, to ensure that all pieces of jewelry meet his high quality standards. 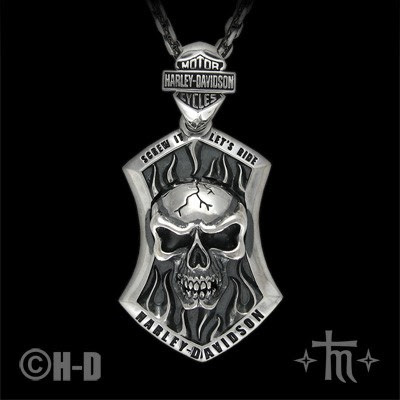 All Harley-Davidson Jewelry by TM is designed and crafted by bikers for bikers.